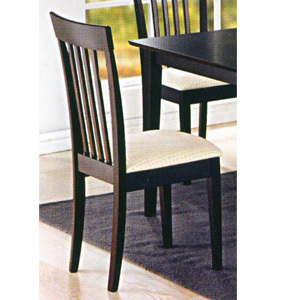 Black Finish Side Chair With Padded Seat. Beautiful And Strong Construction. Easy To Assemble. Size: 40H.. *Minimun Order 2.